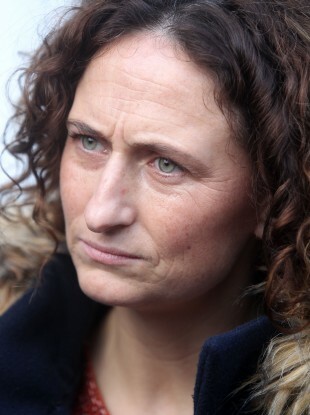 LYNN BOYLAN HAS said that the water charges protest that took place in Jobstown earlier this month was ‘blown out of proportion’. Sinn Féin’s MEP for Dublin said she was unhappy with the way the media had covered the demonstration. Tánasite Joan Burton was trapped in her car for almost three hours by anti-water charge protesters while attending a graduation ceremony on 15 November. Two people were arrested following the incident and Burton made a statement to the gardaí. Boylan said that she “didn’t like the way Tallaght was portrayed by the media … I do think that they blew it out of proportion completely”. The footage that was shown of the protest in Jobstown was shown for days on end, it was debated on radio stations, shown on TV, but yet the first protest where 100,000 people marched in Dublin hardly got a mention on the national airways. 100,000 people on the streets of Dublin: women, children, men and not an incident of trouble and that wasn’t covered. Boylan accused the media of “seeking out” any incident of trouble at the water charge protests and “blowing it out of all proportion”. Email “Lynn Boylan: Jobstown protest was completely blown out of proportion”. Feedback on “Lynn Boylan: Jobstown protest was completely blown out of proportion”.